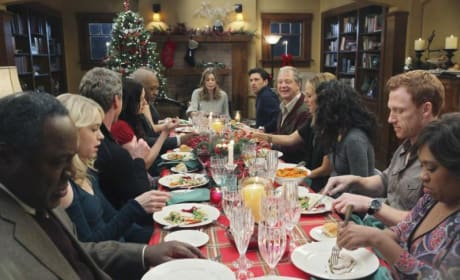 Meredith Grey in "Holidaze." She's back from her medical leave and we could not be happier to see one of our favorite characters on the show full time again. A holiday party is in full effect in "Holidaze." 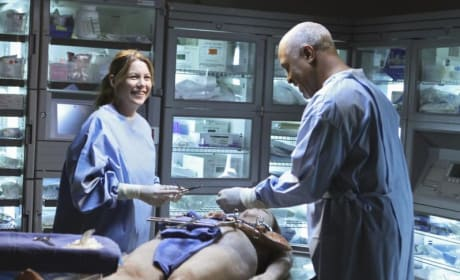 This Grey's Anatomy episode looks like it's going to be a good one. 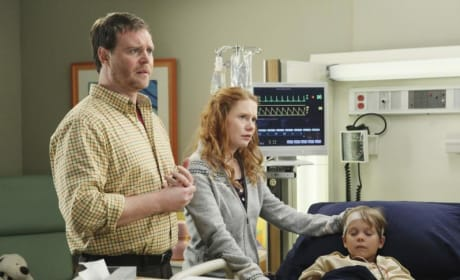 Hopefully the doctors of Seattle Grace-Mercy West can save this little guy. No one ever checks in unless the situation is pretty bad. Richard and Meredith in "Holidaze." Will his drinking again come up in conversation with her? That's what looks like we're looking at here. 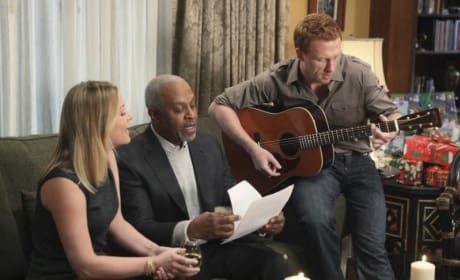 What's the deal with Owen and Teddy? 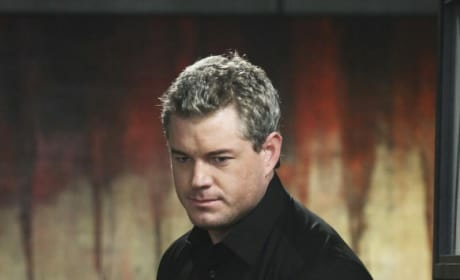 Mark Sloan in "Holidaze." 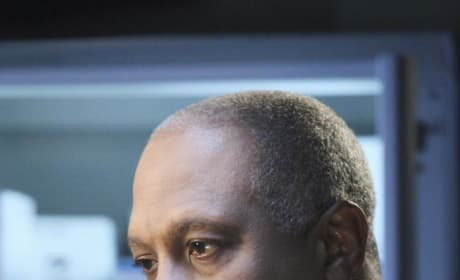 His love child (possibly) is coming to him for help! Lexie Grey may not put the Grey in Grey's Anatomy, but she holds her own. We've grown to love her character more and more as the series continues. 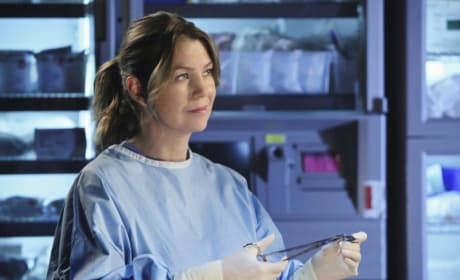 Meredith Grey puts the Grey in Grey's Anatomy. Here she is in "Holidaze." Is Richard off the wagon? Yes. 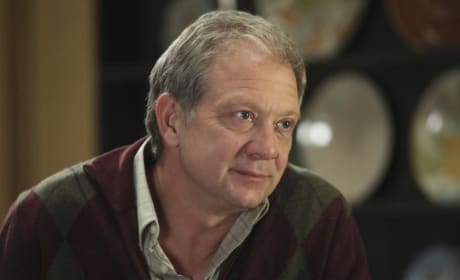 Is his drinking going to become a bigger and bigger detriment to Seattle Grace? That we will have to wait and see. Meredith Grey smiles. It's great to have her back on the show full time! 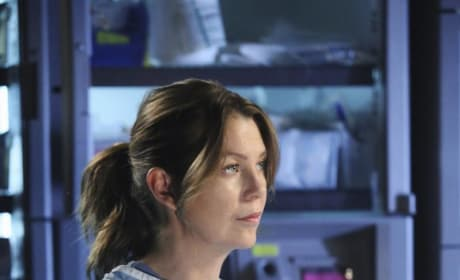 Thatcher Grey makes another appearance on Grey's Anatomy. What trouble will follow him this time around? 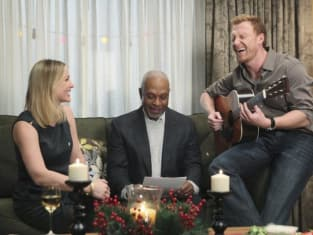 Owen, Teddy, and Richard in a promotional photo from "Holidaze." What do you suppose he's singing about?